If you’re wondering what the Dickens this car actually is and does, you’re not alone, as it’s only recently been introduced to the UK and in limited numbers. 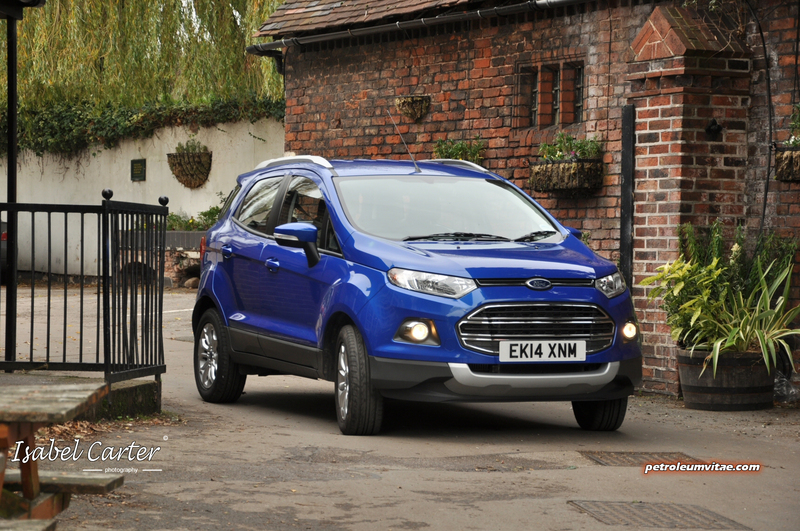 EcoSport isn’t a new model for Ford, as the original version was launched in 2003/4 and has been a big hit in South America. 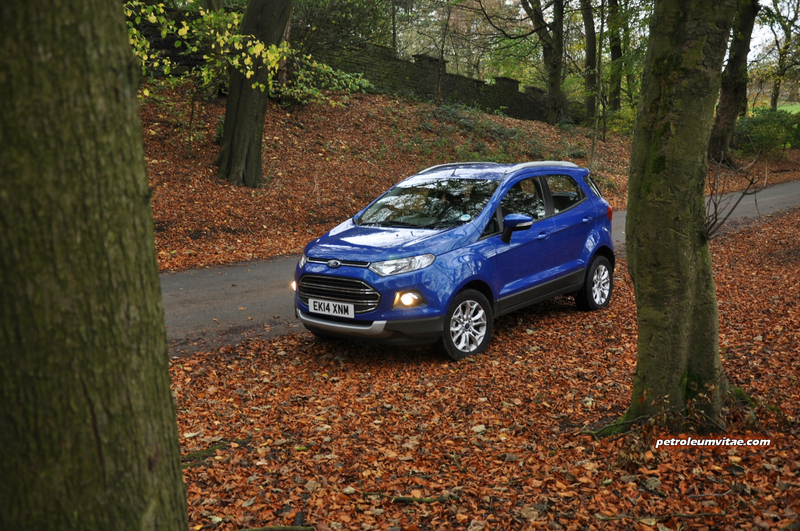 Through their global ‘One Ford’ program, they opted to take the EcoSport to additional markets, including Europe. 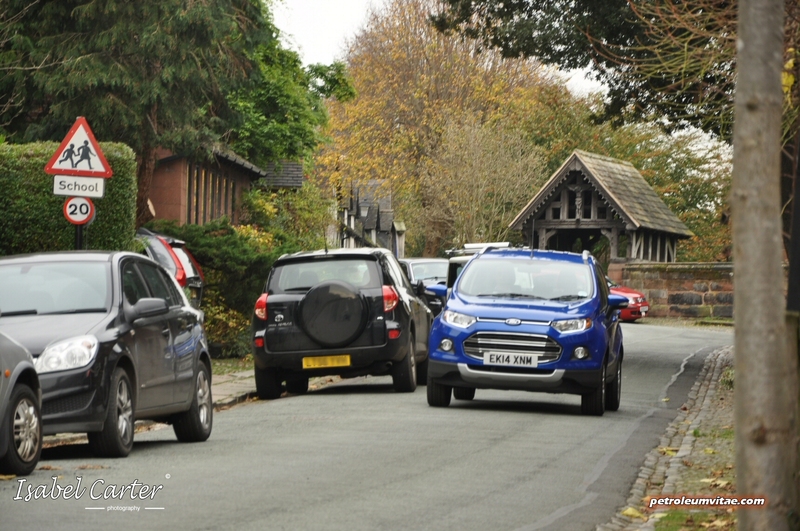 This is Ford’s way of economically getting in on the mini-SUV sector, SUV in this case standing for ‘smart utility vehicle’, designed to take on rivals like the Renault Captur and Vauxhall Mokka. 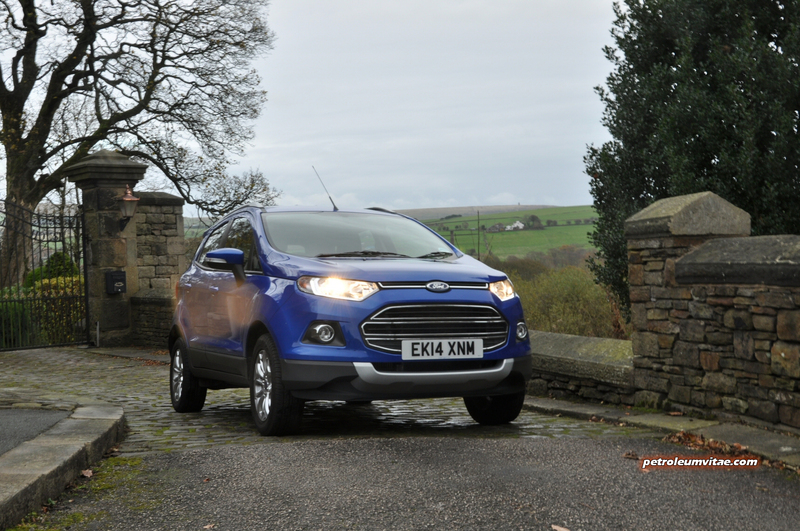 Based on the platform of the latest, highly-praised Fiesta, are the EcoSport’s Marmite looks backed up by tidy handling and does the model cut it here in the UK? 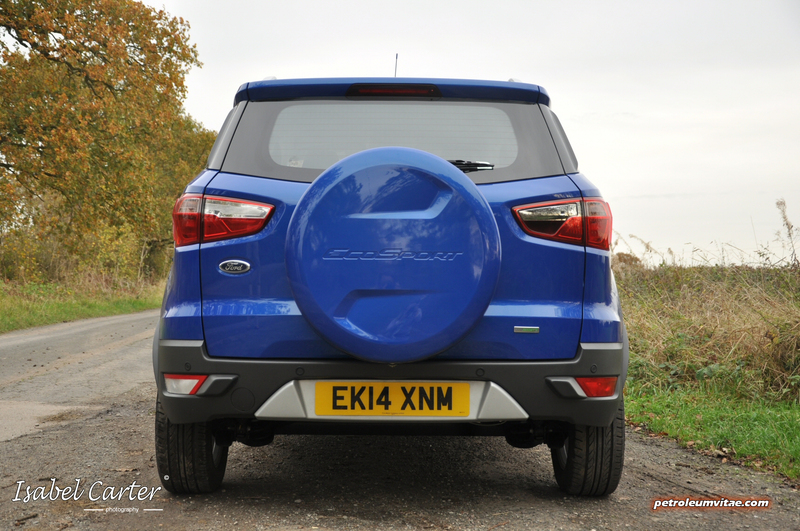 The EcoSport’s styling is divisive, that’s for sure, but looks come down to personal taste and I for one quite like its unashamedly brash, American, truck-like front end. To me it looks modern, suitably distinctive and actually rather attractive. 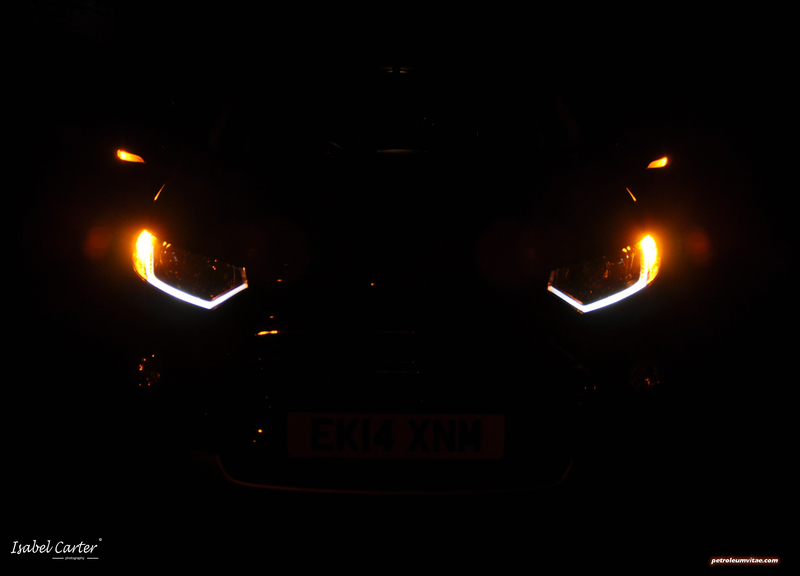 The slanted headlights, fog lights, gaping overall mouth, chrome bits and lines all come together rather well in my view. 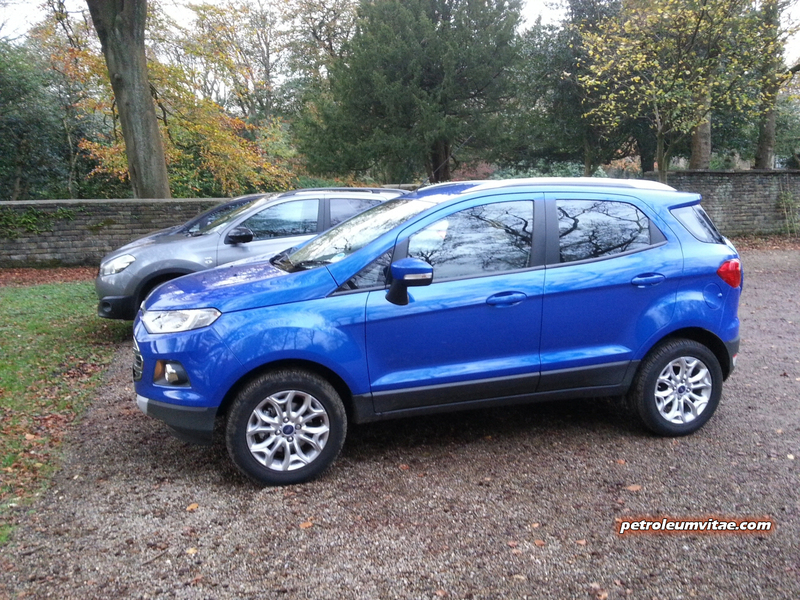 Moving round to the side, the EcoSport’s styling becomes less appealing and rather mundane and I feel the Titanium trim (provided as standard for the UK) could have done with tinted windows. It’s a little boring at the back, too, but I’m a fan of the spare wheel carrier mounted on the side-hinged tailgate. 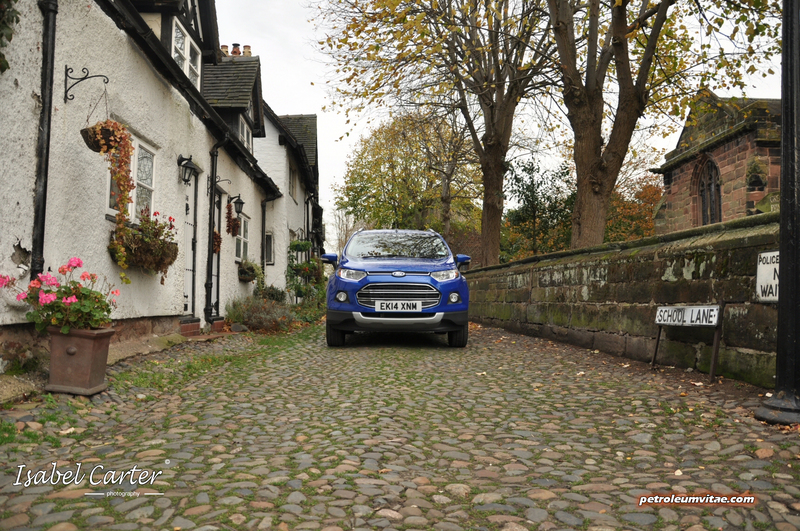 The EcoSport attracted loads of attention during my week with it and its similarity to a Daihatsu Terios doesn’t bother me. In the dark, its LED signature lights looked fantastic and resulted in some Halloween-inspired tomfoolery, whilst the splendid Kinetic Blue metallic paint contrasted quite nicely against the rusty autumn leaves. 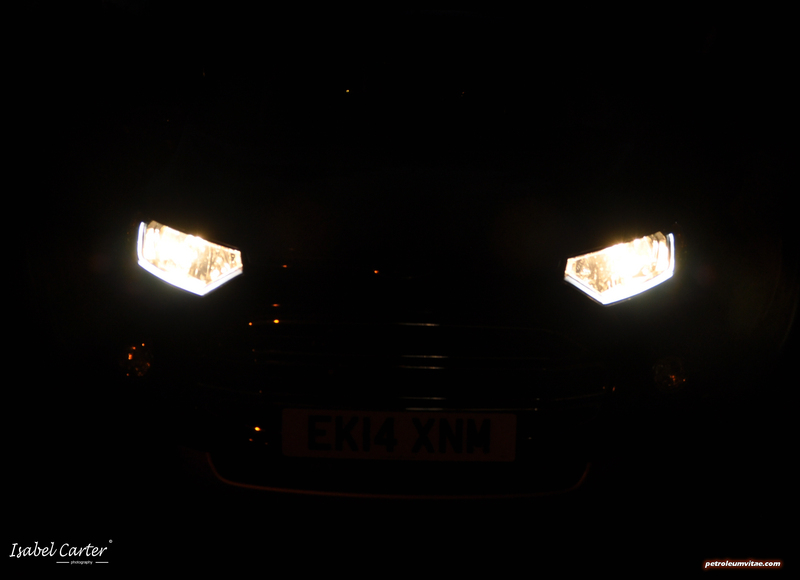 Everyone has at least someone who loves them – even Ed’ Milliband – and the EcoSport’s pint-size-macho design does it for me. The model I tested cost £16,500 on the road and the only real upgrade is the X pack which adds full leather, cruise control and 17” wheels. 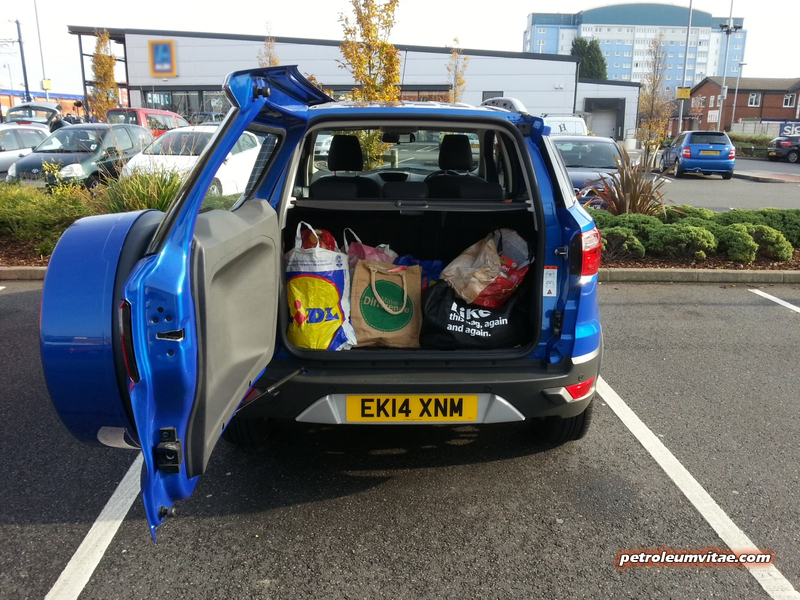 The EcoSport is cheaper than the equivalent spec’ Vauxhall Mokka but slightly more than a basic Renault Captur or Nissan Juke. 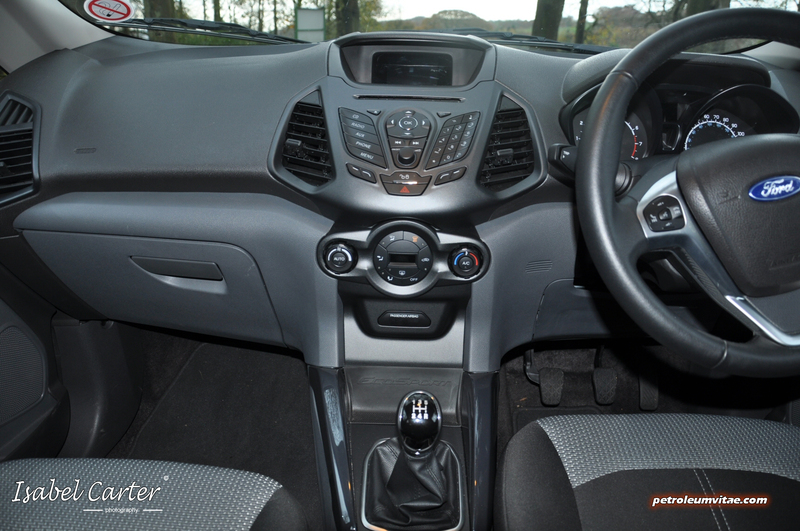 Its interior and dashboard heavily inspired by the Fiesta, I already expected a peppering of buttons everywhere I looked, but I didn’t reckon on the EcoSport’s interior feeling ever bit a budget attempt, with harsh plastic surfaces and some trim sections peeling away. 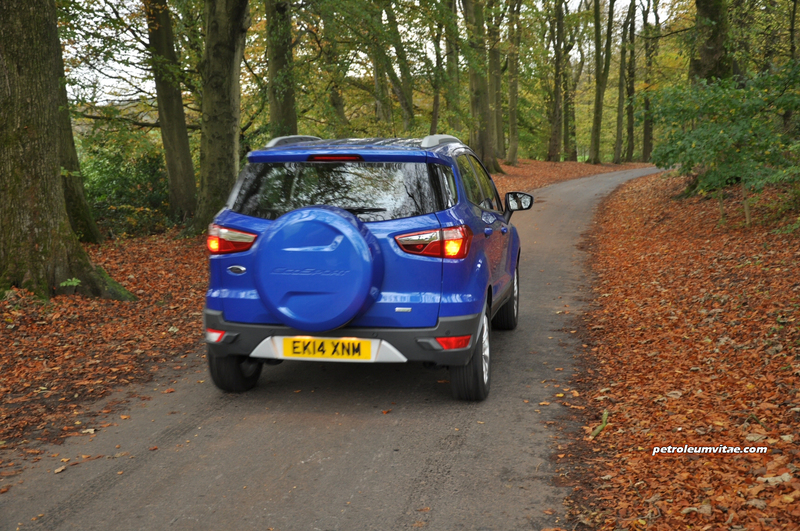 To be fair, though, it reminded me of a good, honest Suzuki Jimny on the inside, built to stand up to years of abuse. 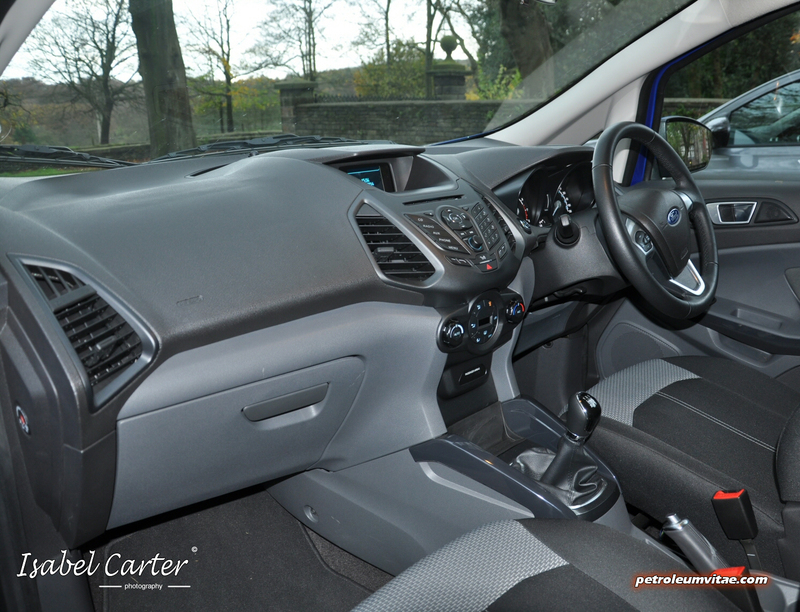 Admittedly, the EcoSport’s interior falls short of Ford’s established, class-leading European models, but remember that it’s a car designed primarily for developing markets and in its favour, there’s a huge sense of space on board an EcoSport. 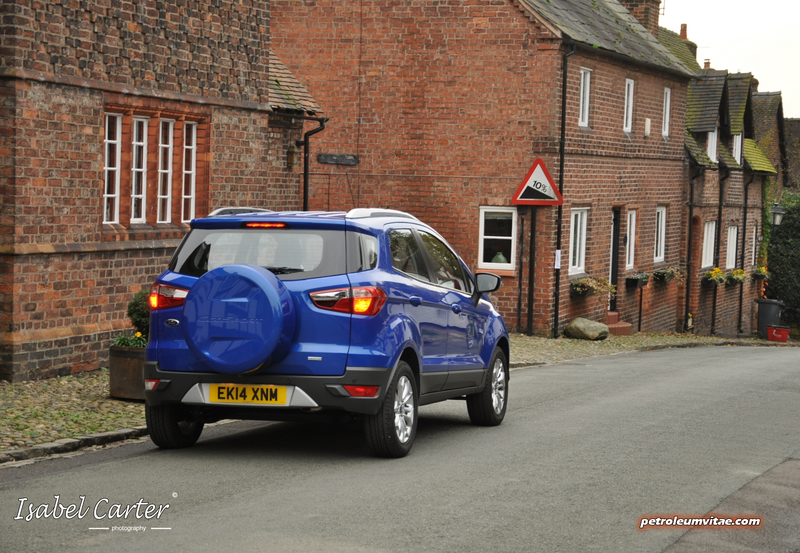 The jacked-up ride nicely strengthens the overall feeling of durability and security and the EcoSport’s interior plays quite a few trump cards when it comes to practicality. 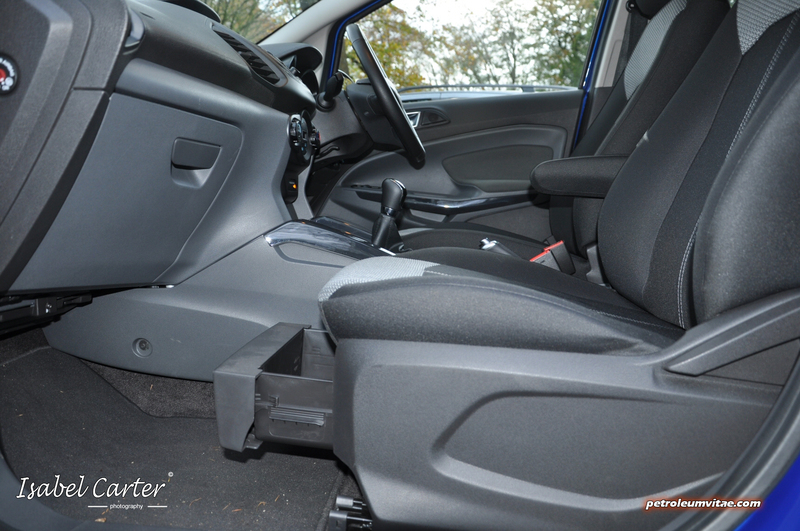 For a start, the glovebox is cooled and there’s a storage drawer under the passenger seat. 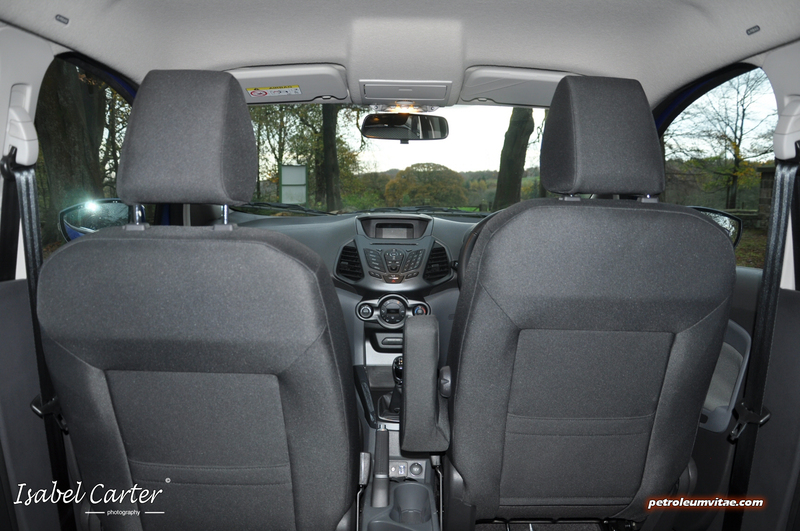 There’s an additional 12V socket at the end of the rear seat bench, the sunglasses holder is nicely damped, it has the convenience of being keyless, all four windows are electric and the courtesy lights tastefully dim. I found the driver’s seat fairly comfortable on long journeys, the steering wheel had a nice feel to it and head and legroom really were quite generous. 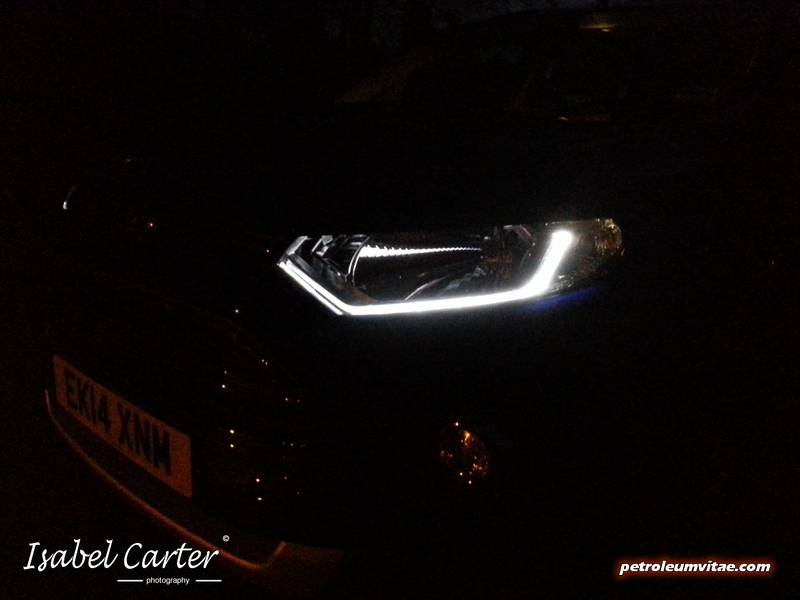 The handbrake was positioned slightly too close to the passenger seat and the side-hinged boot opens the wrong way for UK pavements, but the large wing mirrors, much-improved handbrake feel and action and the decent stereo and climate control strode in as additional redeeming features. 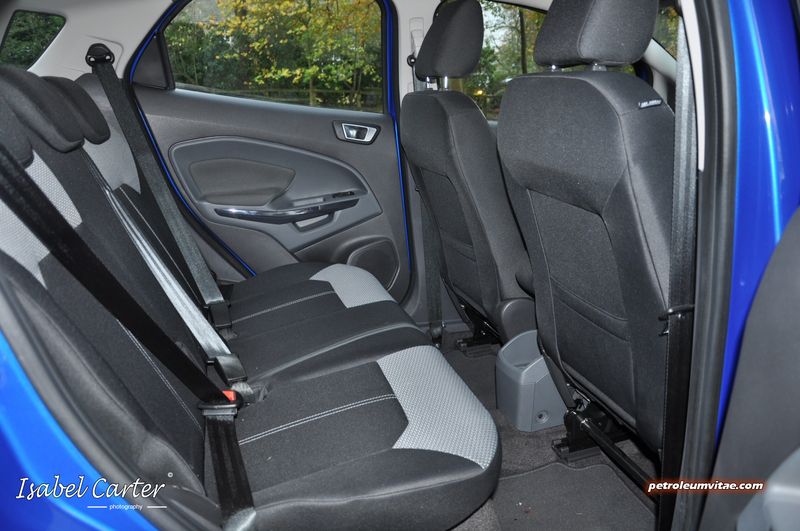 The back seats even recline and easily fold away to increase boot space, making it quite a decent car for lugging loads. 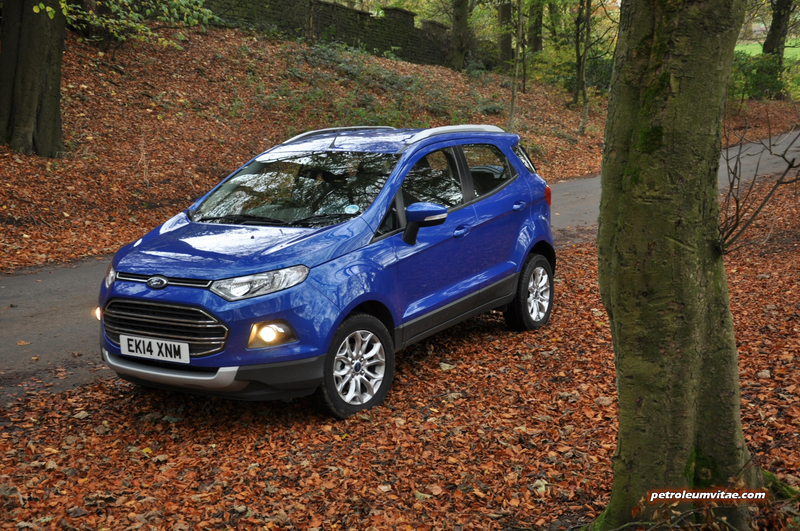 The EcoSport comes with Bluetooth and voice control, the SYNC APPLINK system allowing text messages to be read out and dictated on the move and various other apps to be controlled verbally. Although I only tried a couple of apps, I can vouch that the Bluetooth paired with my phone on the first attempt and the apps worked satisfactorily. It’s just a shame the tiny blue screen is a bit naff compared to the attractive colour touchscreens on offer from some other manufacturers. DAB digital radio would have been another nice-to-have, but overall, I found many positive points in favour of the EcoSport’s interior. 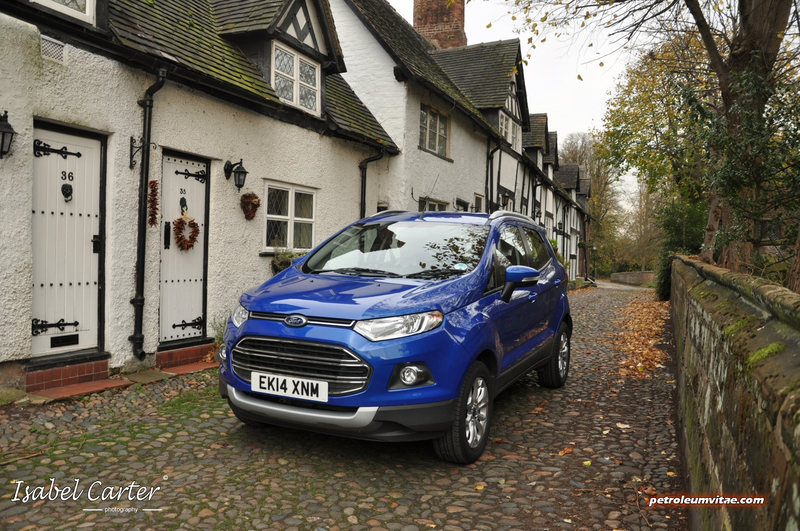 At the heart of the EcoSport I tested for a week was one of Ford’s excellent 1-litre EcoBoost engines, but it’s also available as a 1.5-litre Duratec petrol in automatic or manual and a 1.5-litre Duratorq diesel, which has the most torque in the range (204Nm). 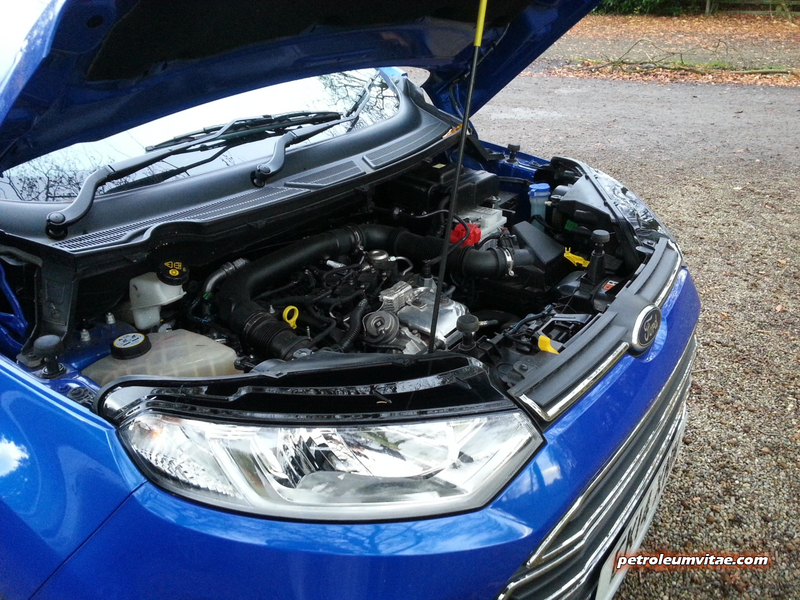 The 1-litre, 3-cylinder EcoSport as tested produces 125PS and is a remarkably quiet and refined engine, which is generally a pleasure to drive. 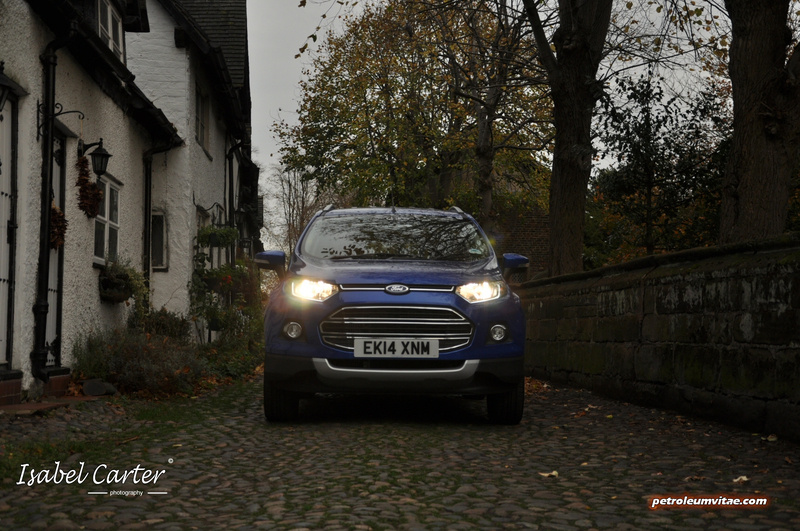 It felt very well suited to the EcoSport in terms of the car’s size and the engine’s resulting performance. Only when one thrusts one’s right foot as far as it will go, the tell-tale thrum sound of the 3-cylinder unit is heard. It’s quite an entertaining sound but you don’t end up getting anywhere that fast. Only five gears are at one’s disposal but the gearing means that you can quite happily select 5th gear for doing 30mph, which results in improved fuel economy. The clutch and leather-trimmed gearshift action were both very pleasant, I must say, although it felt a little strange using the same 5th gear on the motorway at high speeds, the engine unable to do any less than 3,000rpm. 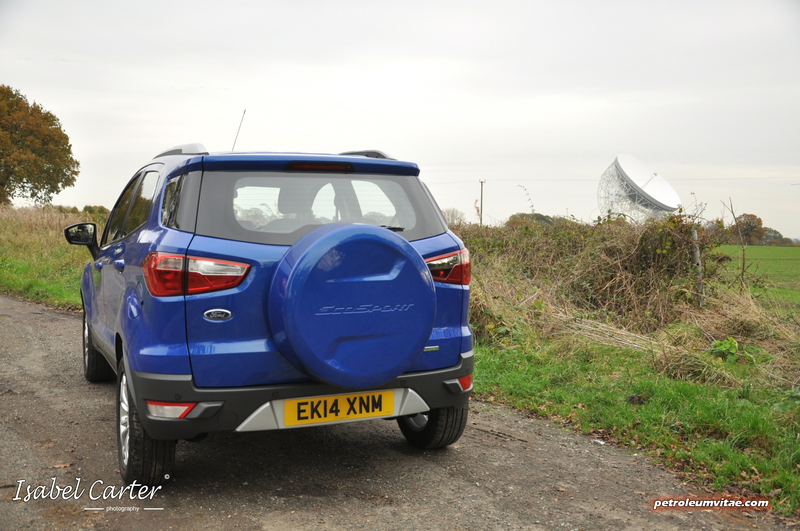 The raised driving position was very welcome in terms of enhanced visibility, but the EcoSport’s height and narrowness meant that it was affected by crosswinds in the same way a high-rise building would be, the poor little car buffeting about in what felt like only light breezes. Around town, it’s a highly pleasant car to drive, compact enough to squeeze through tight spaces and park in bays you might otherwise try to avoid. 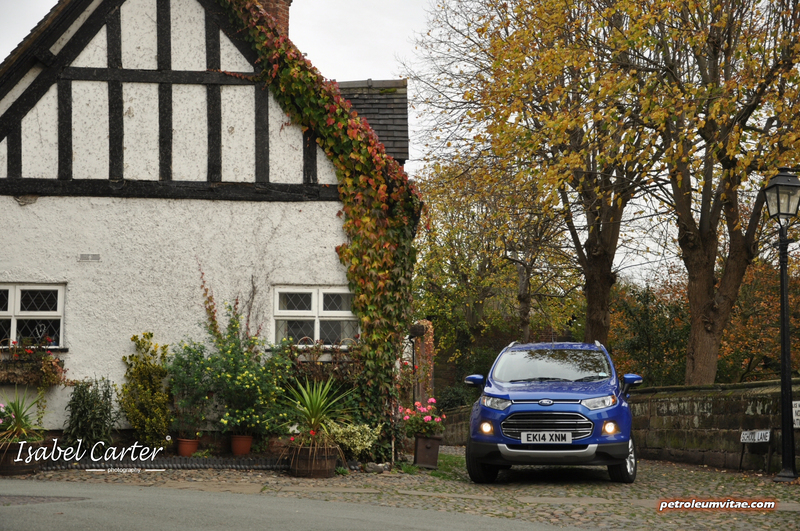 On country lanes, I actually managed to have fun in the EcoSport, as long as I didn’t ask it to do things it couldn’t, like be sporty. Keeping in mind that it’s a tall car with narrow wheels and a chassis that’s not designed for spirited driving, I managed to eke out a few smiles. The steering, although twitchy at times, wasn’t that bad and nor was the suspension. 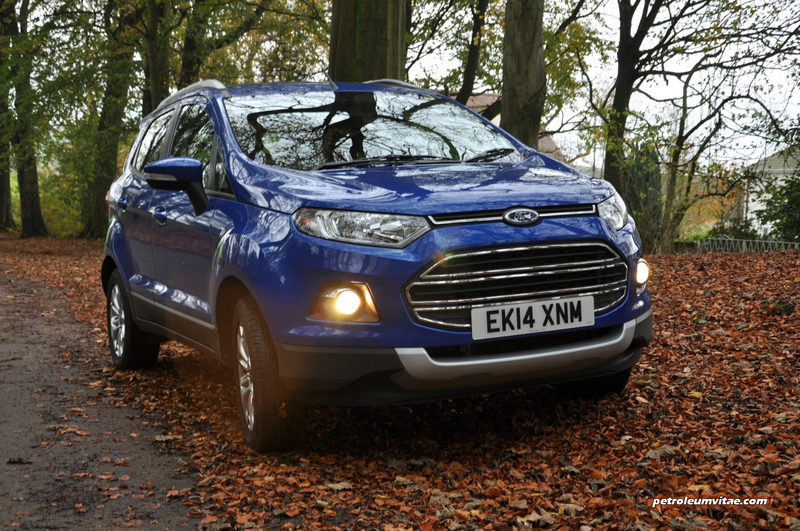 Okay, the EcoSport is miles from being as accomplished as the Fiesta on which it’s based, but it still felt like it had a bit of Ford DNA in there somewhere. Occasionally it did rather thump and crash through potholes but it was fun feeling it pile through speedbumps like they weren’t there and tackle pitted farm tracks and mild off-road terrain with ease. 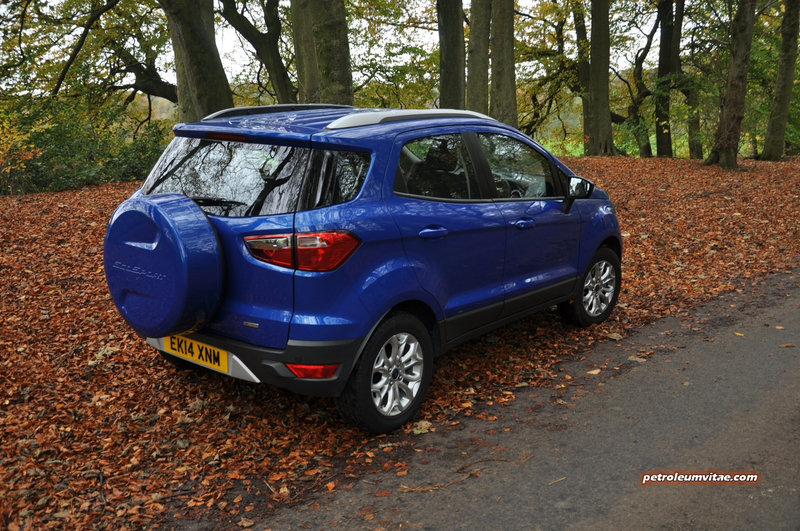 I know most people won’t take their EcoSport’s off the beaten track, but it’s worth noting that its 200mm ground clearance is greater than that of a Mokka or even a RAV4. This cheeky Ford mini-SUV even has a wading depth of 550mm and the front and rear overhangs are nice and short, with very handy approach and departure angles. 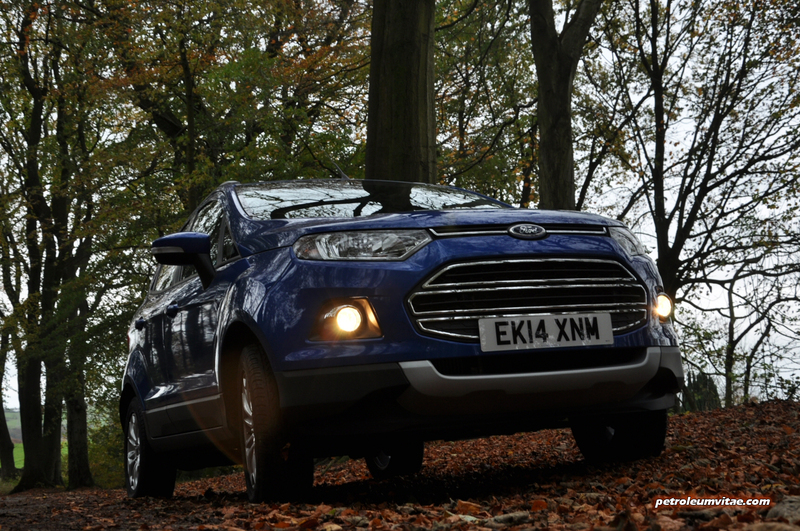 It’s a shame Ford don’t offer it as a 4×4 for the UK. 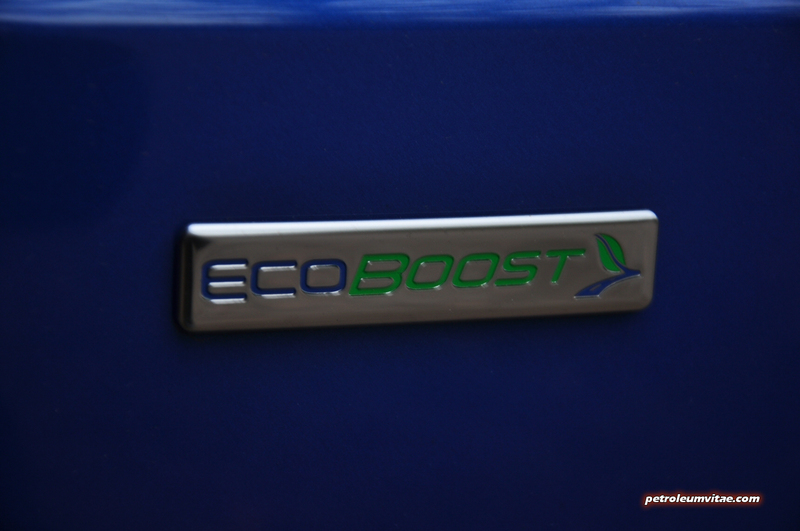 By the end of my week with the EcoSport, just short of 250 miles had been covered so it was time to see how the real-life mpg fuel economy figure stacked up against the figure Ford publish in their literature. 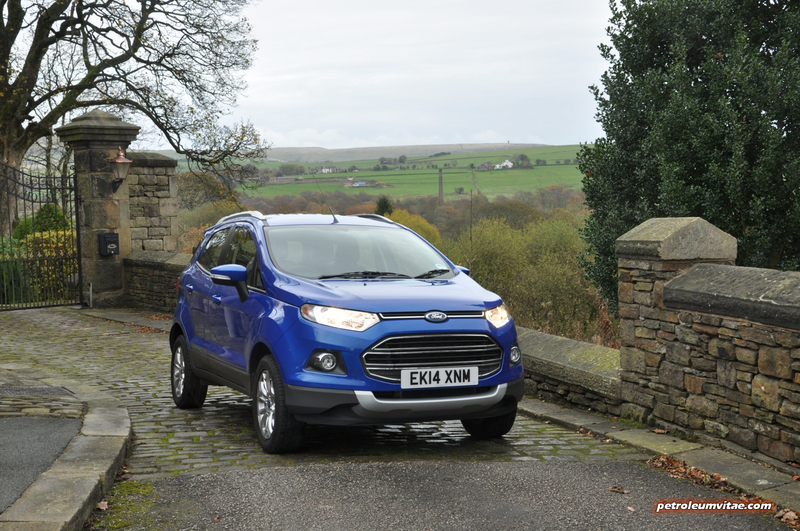 On paper, the 1-litre EcoSport is meant to do 53.3mpg on the combined cycle and having put it through a mix of very different driving styles, from the sensible to the barking mad, it averaged 49.4mph. No, it’s not class-leading in economy terms but many cars fall way short of their claimed economy figures, so this was impressive and at least accurate. 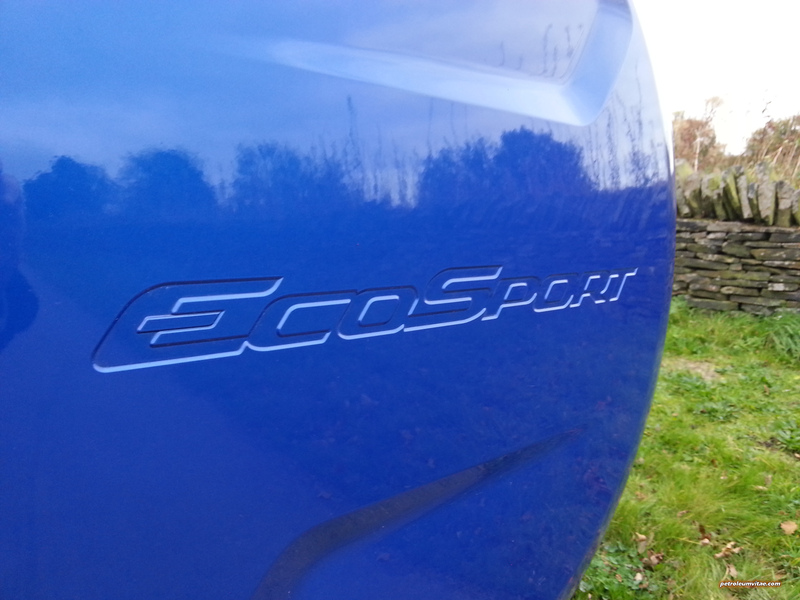 Whatever you might think, I’ve not been on the magic mushrooms and genuinely rate the EcoSport in many areas. Sure, the 12.7 seconds it takes to reach 62mph will send some people to sleep, its looks may alienate others and its height means it’s prone to body roll. But in this sector, individuality, funky styling and a sense of security are more desirable to prospective owners than outright handling ability and sporty performance. 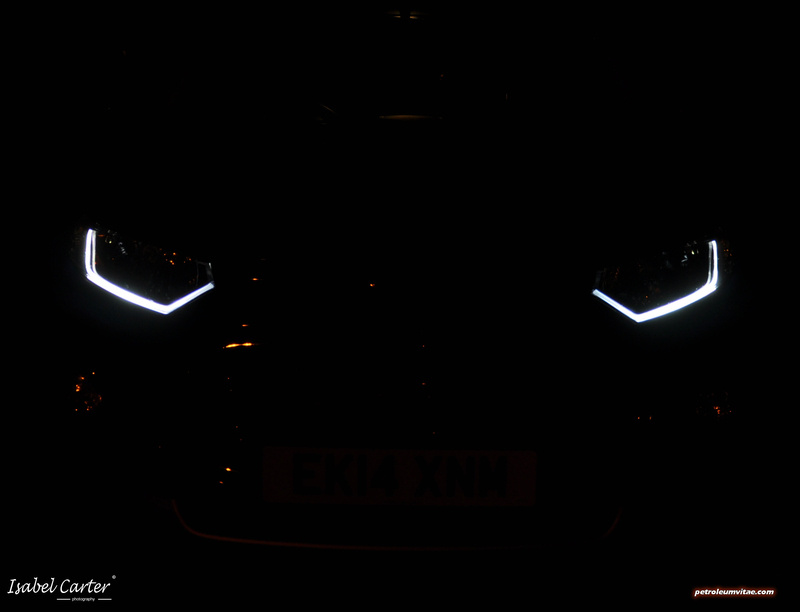 They want something rugged, safe and practical for tackling and looking cool in the urban jungle. 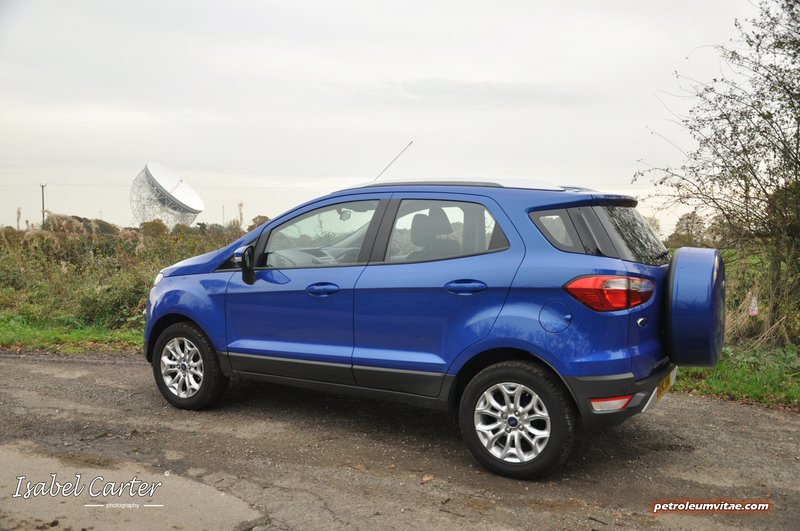 As long as you take the EcoSport for what it is and don’t expect it to be a Fiesta on stilts per se, many positives can be found, from its practicality, decent handling at modest speeds and randomly capable off-road ability to its quiet and economic engine if you pick the 1-litre. It certainly has a place.